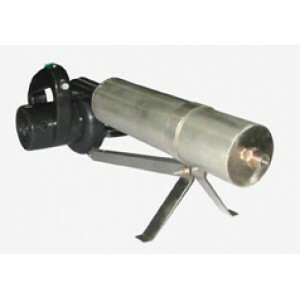 A heavy duty 2kW air heater with illuminated power switch with fan and fan control. Use for industrial production. Please use contact form – from link below- or call 513-772-0404 or email MHI to determine the plug configuration for your unit. Maximum rated temperature of air at the exit is 700°C for long life. ~22″ long. 1/2″ NPT output. Speed control for fan to adjust temperature. The TC Read option or from related products is 120V. 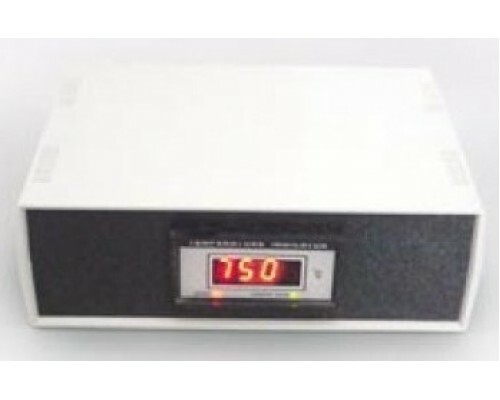 Unit contains integral thermocouple (requires optional TC-Read-110V display or equivalent for temperature read-out.). Adjustable fan flow control – fan included – fan control is included. The TC-Read or BPAN are optional items. Note that the TC-Read is only available in the 110V 50/60Hz. The TC Read monitors temperature where as the BPAN option is a feed back controller. Plug not supplied in standard configuration-user must use locally approved standard for the voltage and power.